Bathroom remodeling is the third most popular home improvement project in 2016. According to HomeAdvisor’s “2016 True Cost Report”, homeowners have spent more on interior remodeling projects, with kitchen and garage remodels placing first and second, respectively. Bathroom remodels came in third. The same report further states bathroom remodels are likely to yield as much as 58% return on investment (ROI). 1. A new bathtub is an opportunity to create a luxurious spa-like environment on your next project. If your tub is still in good condition, consider getting bathtub liners instead. Rainbow Bath and Shower can install bathtub liners that are guaranteed not to fade, stain, crack, chip, or peel over time. 2. A new shower is another cost-effective remodel to consider with a good ROI. There are several options like fixture replacements, to a full shower-and-tub job. Nonetheless, a great mid-priced project is a luxurious full-body shower. Let Rainbow Bath and Shower help you design a shower that will meet your needs. We can provide you with a roll-in shower or even shower liners. 3. Accessibility upgrades are essential to your next bath remodel in Traverse City, MI, if you are caring for someone who has mobility issues. Walk-in tubs or showers give your loved ones the independence of movement from wheelchair to the tub and back. We also offer custom high-strength grab bars and anti-slip wraps. There are many ways to make sure your bath remodeling project becomes a success. 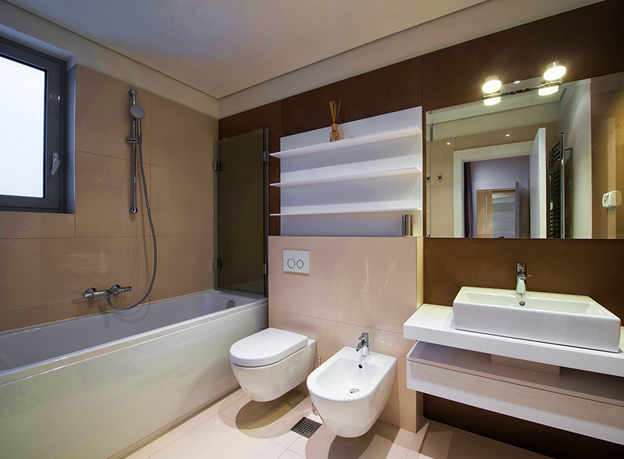 Our team is the bathroom remodeling expert that can provide you with reliable services. We offer beautiful and durable tubs and showers to meet your home’s needs. If you want to know more about how we can help you complete your bath remodeling in Grand Rapids, MI, contact Rainbow Bath and Shower today. Call us at (616) 226-8599 or fill out our contact form.